The Amba Team is delighted you enjoyed your stay. Our Yoga teacher will be delighted to hear he has yet another fan! Thank you for sharing your experiences with TripAdvisor. The Amba Team is delighted to have met your expectiations. It was a pleasure looking after you! 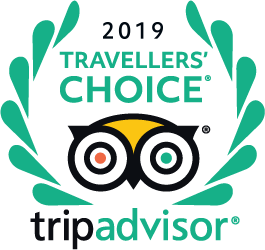 Thank you very much for having taken the time to share your experiences with Trip Advisor! The Amba Team is delighted you enjoyed your stay with us and for having taken the time to share your impressions and experiences with trip advisor. Sorry about our WiFi. It is unfortunately beyond our power to make it more reliable. We hope to welcome you again in the not too distant future! Thank you Tatyana for your thoughtful review! We're delighted you enjoyed your stay and we also hope to see you again!! Thank you also for your feedback... we are looking for a new supplier of bath products for the guest rooms. All guest rooms have two lounge chairs on their private balcony - but we understand guests like to choose where they relax :) ... so extra lounge chairs are on the way! Happy holidays & all the best for the New Year! Tutto è perfetto: hotel, trattamenti, il cibo e il servizio - davvero tutto! Ho richiesto il glutine - cibo gratuito vegano che era eccellente. L'hotel è davvero bello e pulito. Il servizio è molto cordiale. I trattamenti erano meravigliosi. Hallo :-) mich würde es interessieren, wo man am besten buchen kann(Preis) und was d. Flugzeit beträgt von Wien weg..? -Danke!